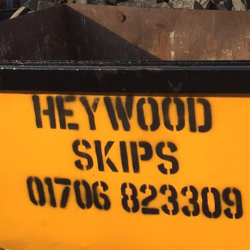 At Heywood Skip Hire we are proud to offer a personal service for all of our customers. We provide both commercial skip hire and skips for general household waste, so whatever sort of skip you need we can assist with your all of your waste disposal requirements. Whether you need a same-day service for skip hire or simply advice on any aspect of waste disposal, we are happy to help. What skips do we have available for hire? 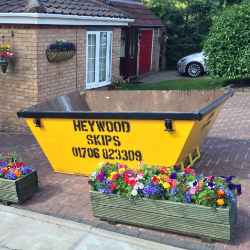 As well as skip hire, we also offer waste management plans to help with every aspect of waste disposal, Should larger skips and waste disposal needs be required do not hesitate to contact ourselves as these can be arranged.